We continually monitor water usage throughout the year to see how much water is being used. Readings are taken at the water treatment plants and they include all water used in homes and businesses that are connected to Council’s water supply. We measure water-use in cubic metres. 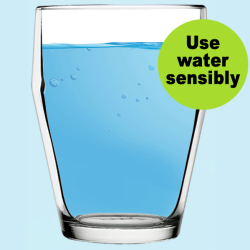 On average we make 24,200,000 litres of drinking water every day! That’s 10 Olympic swimming pools full! Noticed someone wasting water in Whangarei?